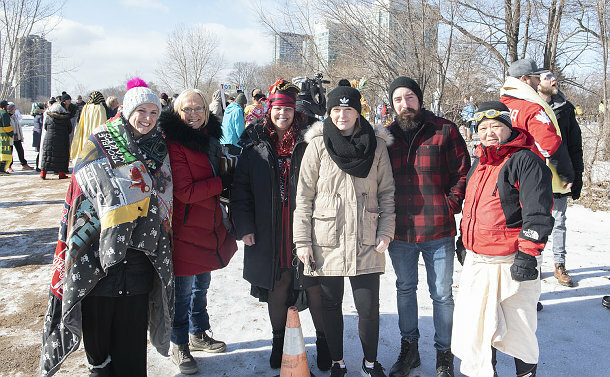 For her birthday on February 9, Sahra Thompson convinced a few colleagues in Records Management Services to take a dip with her in Lake Ontario. 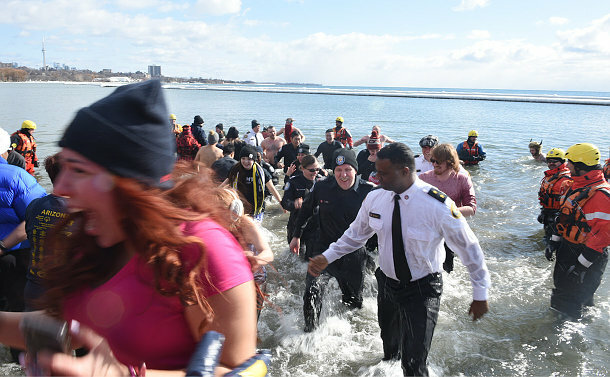 They were among nearly 100 participants in the third annual Polar Plunge to raise money for Special Olympics Ontario. “This is a unique way to spend a birthday with some of my work mates,” she said. It was the first time that Thompson, Teresa Chan, Debbie Robb, Kelly Moore and Michelle Rapson took part in the fundraiser. “It’s for a good cause and we are happy to be here,” Rapson said. The event wasn’t restricted to police officers and civilians. Kevin Tipoff and Marlene Duffin of Maplewood High School joined in the fun. Nearly $40,000 was raised from this year’s event at Sunnyside Beach. This is a significant increase from the $9,000 raised in the first year and $18,000 last year. Const. 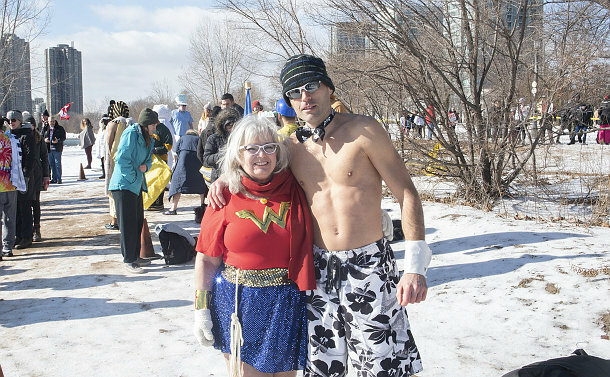 Ryan Park of the Community Partnerships & Engagement Unit has taken part in all three Polar Plunges. “It’s tough and the worst 30 seconds of your life, but it is all good at the end of the day because the funds are for a worthy cause,” he added. Deputy Chief Peter Yuen and other senior officer took part in the plunge. Some of the funds raised will go to the first ever Special Olympics Ontario Invitational Youth Games in the Greater Toronto Area from May 14-17.